Tax experts who testified yesterday before a parliamentary committee were warned last-minute that they were forbidden from addressing KPMG’s controversial offshore tax dodge in the Isle of Man — despite having been summoned to the committee for that very reason. A KPMG lawyer wrote to the House of Commons finance committee on June 4, imploring that it not address the accounting firm's Isle of Man scheme, as it is currently before the courts. Tax experts summoned to Ottawa yesterday to testify about a KPMG offshore tax dodge at the Commons finance committee were left fuming after a last-minute gag order prevented them from saying anything about the accounting firm's Isle of Man scheme. "Why am I here?" André Lareau, a Laval University tax professor flown in from Quebec City, told CBC News. "They asked me to come here to speak about KPMG and I'm prevented from speaking about KPMG." "This is completely unfair," echoed Dennis Howlett, of Canadians for Tax Fairness, who was equally surprised about the sudden ban. The committee also refused to accept Howlett's written report on the alleged KPMG offshore "sham." The controversial tax avoidance scheme involved the creation of shell companies based on the Isle of Man. 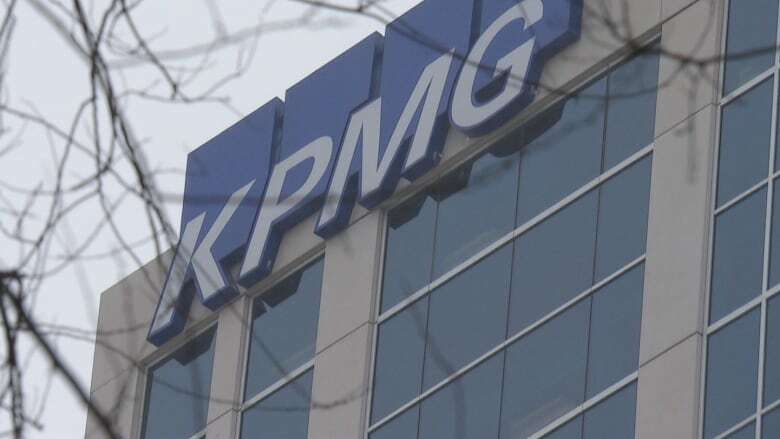 KPMG ran the operation for high net worth clients for more than a decade before it was eventually detected by auditors for the Canada Revenue Agency in 2012. The gag order led to some awkward moments, as witnesses scrambled to avoid possible contempt rulings. "The particular case that we're not supposed to refer to is only the tip of the iceberg," Howlett testified. Queen's University tax professor Art Cockfield made the point that, as a deterrent, the U.S. had implemented harsh penalties and criminal convictions against KPMG for its tax avoidance schemes. He quickly pointed out he was "not commenting" on the KPMG Canada case. When it appeared that Lareau was about to give opinion about KPMG "strategy," the tax expert was cut off by committee chair Wayne Easter. "If you want to talk in generalities of tax avoidance, that's fine. But I don't want to go down a path that's going to cause trouble," the Liberal MP cautioned. "Mr. Chairman, I was invited to speak about KPMG," Lareau rebutted, before continuing without mentioning the accounting giant. The about-face by the finance committee comes after KPMG itself warned the MPs against allowing further testimony. KPMG lawyer Mahmud Jamal wrote to the committee on June 4, only days before the hearing, imploring that the committee not address the KPMG Isle of Man scheme, as it is currently before the courts. "The committee's work should not address the very matters that are currently pending before two courts," Jamal's statement reads. "To debate the [offshore] tax plan in a partisan political environment when this very matter is before the courts would, with great respect, be fundamentally unfair and improper." 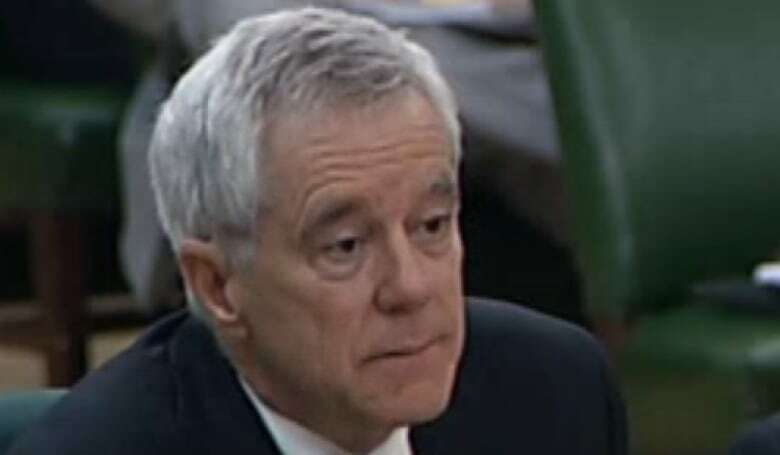 Lawyer Scott Chamberlain, another expert prevented from giving testimony, told CBC News the committee shouldn't have folded under pressure from KPMG lawyers. Parliamentary committees have the power to probe any matter it feels are in the public interest, he said, whether or not there are ongoing court cases. "It is a choice they've made," Chamberlain said. If KPMG really didn't want the finance committee to discuss its tax dodge, the experts contend, then it should have made that argument before Greg Wiebe, KPMG's senior tax partner and former global head of tax, testified last month. Lawyer Scott Chamberlain argues the finance committee has the power to hear witness testimony even while a matter is being pursued in court. 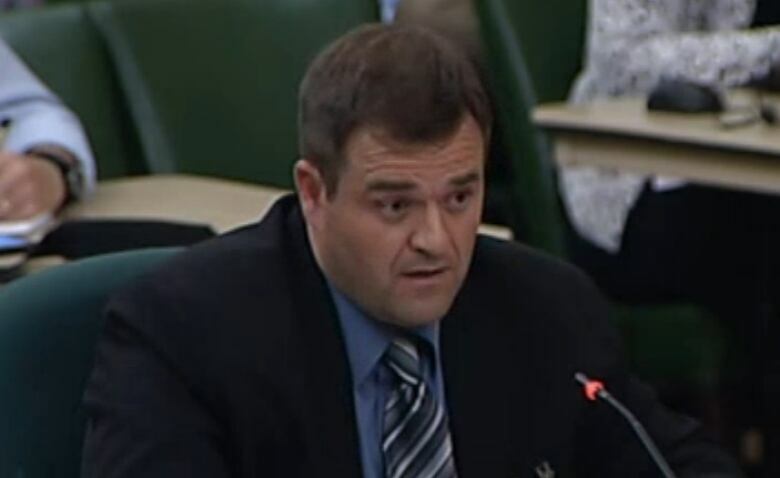 (Parliament of Canada)"As is the case with all our tax plans, it fully complied with all applicable tax laws," Wiebe told the committee on May 3. Some of the experts called to testify yesterday said they had planned to challenge that assertion. "It's unusual because one of the parties to the court case came before the committee, answered questions, provided documentation, and then raised this issue so that anyone subsequent could not do the same," says Chamberlain. Neither the statements nor brief prepared by Chamberlain were accepted Tuesday by the committee. 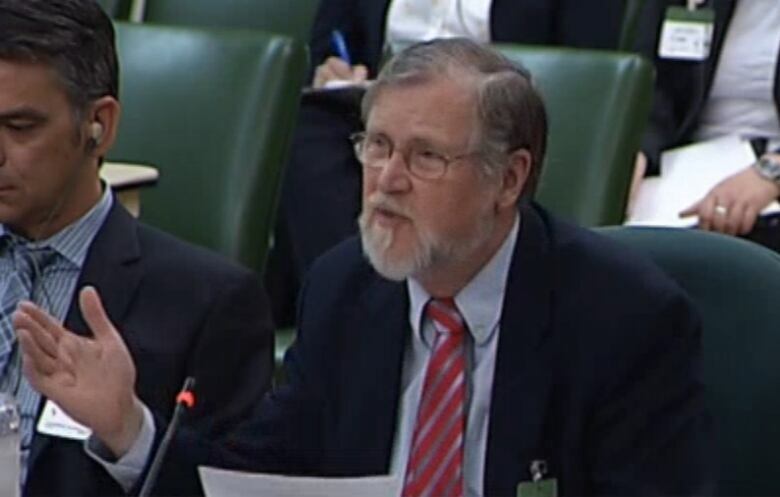 "The committee only gets to hear the KPMG side of the story and has no opportunity to hear from legal experts and others who have views that would challenge their interpretation of the law," Howlett added. The NDP, which holds one seat on the finance committee, says it is concerned that by the time the court cases are over — the earliest began in 2013 — too much time may have passed for Parliament to probe the issue. "Do we have to just shut up and basically stand aside while waiting for the courts to decide on those issues?" vice-chair Guy Caron told CBC News. "We risk losing sight of the issue and unfortunately never to get back to it, which is something I would like to avoid." There are several previous examples where parliamentary committees or government commissions heard testimony amid ongoing court cases. The Gomery Commission heard testimony from numerous witnesses amid ongoing criminal investigations into the sponsorship scandal. The commission had been called to "investigate" exactly what happened in that case, as opposed to making any findings relating to civil or criminal misconduct. The Oliphant Commission — which probed secret cash payments between former prime minister Brian Mulroney and middleman Karlheinz Schreiber — continued amid ongoing lawsuits and extradition proceedings in Canada. The House of Commons ethics committee also probed the same topic amid the same legal actions. And in the U.S., the scandal that led to an IRS investigation and criminal convictions against KPMG began only after politicians in Washington ordered KPMG and other witnesses to testify in a fact-finding probe. "I do believe that we have very similar powers to the American Congress, which are very broad powers," Caron said. "Once again, do we want to use it?" Both KPMG and finance chair Easter have referenced what's called the "sub judice convention," a guideline suggesting parliamentarians be cautious when making statements and holding inquiries about matters before the courts. Easter did not immediately respond to calls from CBC News.